The Greens NSW spokesperson on mining Jeremy Buckingham expressed his concern that the EPA has announced an investigation into yet another spill by Santos, this time of 500 litres of toxic coal seam gas water at its Narrabri coal seam gas operations. He called for their operations to be frozen by the Minister. “Santos promised that their ‘new’ management would ensure that the pollution incidents stopped. This latest spill of toxic coal seam gas water is proof that this industry is unsafe no matter who runs it,” said Greens MP Jeremy Buckingham. “Coal seam gas is an inherently risky industry. We’ve had multiple spills and contamination incidents with only a dozen pilot wells. 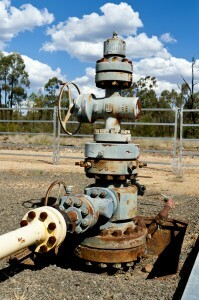 The risk will be multiplied with 850 gas wells planned for their Narrabri operations.